Simply Me: LokDog you stink! Growing up it was nothing for my parents to have 7 dogs at a time. We lived in the country with 20 acres of land. I personally have owned 5 dogs. Each of them had their own little ways and personality. And they all had their bad habits. Rocky came from a shelter so he was abused. He would bite. Lucy would take off whenever we opened the door. Emma is the same and likes to run off. Rufus has gas all the time and he thinks he is a lap dog. At 50 lbs it hurts when he sits down on your head. Loki on the other hand has several naught habits. He sits wherever he wants. He sits on your head, if you are in the tub he jumps in and tries to lay at your feet. He will knock you off a chair if he wants it and so on. Plus I have myself convinced he is a small horse, the dog is big and klutzy. He also steals food, he sees nothing wrong to grab something off my plate and sit next to me and eat it! The pup chews up everything and looks at me as if I in someway made him do it. And he stinks! He likes to jump into all types of muck and roll around in it! There isn't a day that goes by that he doesn't drag some sort of stuff into my house. He makes me smile though, he is silly and just a big goof. He deepest desire first thing in the morning is give everyone a kiss and the reason he is always sitting on people is because he wants to be as close as possible to the family! I do need to keep his order under control and thanks to the lovely people at invet.com I can do just that! 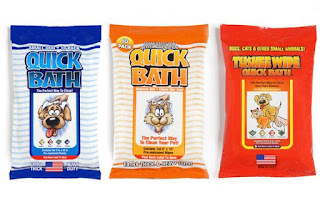 They have a line of quick bath products. Meaning I can get in an out in just a few minutes. There are three NEW shampoos as well as a new conditioner. 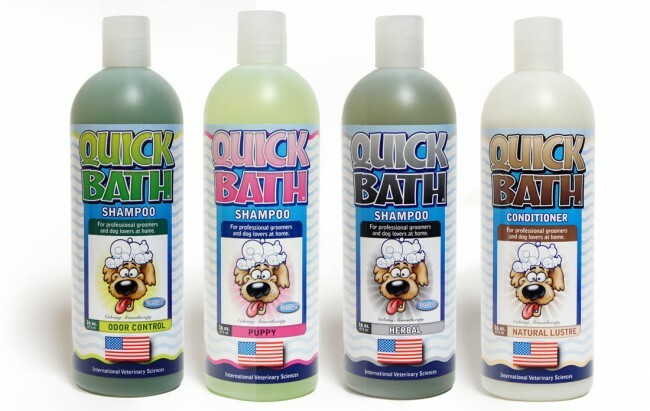 Quick Bath Shampoo is a tearless formulation designed to clean your pet while leaving a pleasant aroma. 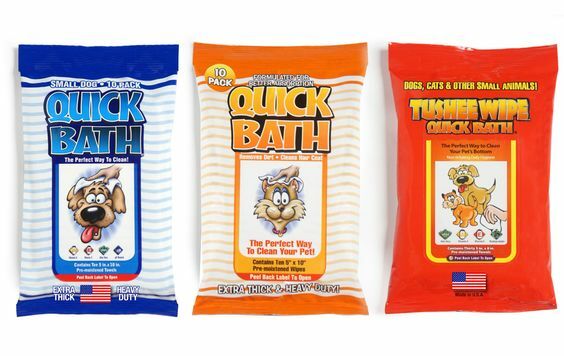 And the Quick Bath wipes!